Judaism is what we Jews do that is good and holy with the gifts we are given. By contributing to others, we uphold our history and fashion the future. Anonymous: I prefer not to be publicly recognized for my donation. Please list me as anonymous or do not list me at all. Sinai Temple plays a vital spiritual, educational and social role in the collective lives of our members. The General Fund enables the synagogue to provide a variety of programs to the community and ensures optimal functionality of the organization. Gifts to the Memorial Fund are made in memory of a loved one’s passing, usually on the occasion of a yahrzeit, and go to support the general operating budget, in addition to the maintenance of our memorial plaques and daily Minyan activities. The Adult Education Fund supports the production of various programs, lectures and learning opportunities for members. Past programs have featured world-renowned authors and scholars, political figures, policy experts, artists and businesspeople. This fund also supports Learn at Sinai, Sinai Temple classes featuring clergy and local experts, who speak on a wide range of topics, including but not limited to Israel, Torah, history and prayer. Atid is Los Angeles’ premiere Jewish Young Professionals group (ages 21-39). Atid’s goal is to help young professionals explore and celebrate Judaism through spiritual, cultural, educational and social events. Events include FNL monthly Shabbat services and dinner, hikes, Jewish learning classes with clergy, basketball, yoga, and more. Events provide an opportunity for singles to meet, couples to connect, and professionals to network while strengthening Jewish identity and building Jewish community. Donations to the Atid Fund help support the above listed activities, programs and events. Sinai Temple’s Beit Bracha program is a religious school and/or B’nai Mitzvah program for children with special needs. The program empowers students to partake in a religious education program that takes into account their individualized educational needs. Funds donated to this program support teachers and teaching assistants, educational materials, tutoring and scholarships to ensure that every child in our community has an opportunity for a Jewish education and Bar/Bat Mitzvah. Sinai Temple is dedicated to providing a caring community for its members. The Bikkur Cholim Fund provides comfort and support to members of our community who are ill, homebound, isolated, and/or in distress. Donations to Sinai Temple’s Bikkur Cholim Fund allow temple volunteers to visit homebound members, as well as patients in hospitals, rehabilitation centers and/or nursing homes. Blumenthal Library provides our community with opportunities to learn through direct access to over 30,000 books, journals, electronic reading materials and multi-media sources for people of all ages. The library creates and promotes free access to a vast array of ideas and information. Special programs offered through the library include visits by authors, book clubs, movie screenings, story time and more. Funds donated supplement the maintenance of the facility, along with learning resources, staffing, and programmatic support. The B’nai Mitzvah fund helps to support our vibrant B’nai Mitzvah program, instilling a love of Judaism and tradition into the hearts and minds of our Sinai Temple students. Donations are put towards supplies, resources and fee assistance when applicable, ensuring that every member has an opportunity to celebrate his/her child’s simcha. The Board of Governors, composed of Sinai Temple past-Presidents, independently reviews and discusses issues and policies that are important to the organization. The BOG supports lay leaders, clergy and staff by developing, hosting and sponsoring religious and cultural activities. Funds donated to the Board of Governors provide support for these activities. Sinai Temple is dedicated to providing a caring community for its members. The Chevra Kadisha Committee works in conjunction with clergy and Mount Sinai Memorial Parks and Mortuaries to ritually prepare bodies for Jewish burial. Support of the Chevra Kadisha Fund allows for the committee to continue its holy and sacred work. Dor Chadash provides social and religious activities designed to build community and Jewish identity amongst young families with children ages 0-6. The goal is to encourage commitment to the synagogue, and to develop future leaders of the congregation. Donations to the Dor Chadash Fund provide support for High Holy Day services for young families, special Shabbat programming, holiday celebrations and social programming. The most precious gift is our heath. When our health is compromised, we're suddenly challenged in every way possible: physically, emotionally, spiritually and financially. Sinai Temple is proud to offer support to families facing health crises. This clergy-directed fund is designed to provide immediate, short-term financial support when it’s needed most. Together, let's ease the burden so that our community members can focus on healing. Family Minyan is a warm, traditional, lay-led service (Shabbat and High Holy Days), held primarily in Kohn Chapel. In addition to services, Family Minyan also provides social and educational programs, holiday celebrations, and kiddushes following Shabbat services. Family Minyan encourages participants of all ages to read Torah and to lead prayers. Funds raised for Family Minyan cover the costs associated with all of these programs and initiatives. The Feit Family Shabbat Live Fund brings the energy and excitement of FNL (formerly Friday Night Live) to Shabbat mornings. Mixing the beautiful, traditional nusach of our cantors with the innovation of our rabbis, Shabbat Live proves to be an enormously popular addition to our services. Gifts to the Feit Family Shabbat Live fund help supplement Shabbat speakers, musical guests, and audio-visual needs for the services. 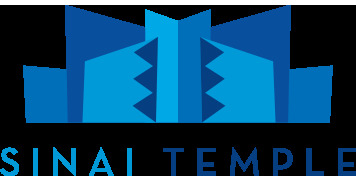 The Sinai Temple Israel Center is the first synagogue center to provide programmatic resources for Los Angeles Jewry to establish cultural, spiritual and economic ties to Israel. It helps foster ties between our community and the Holy Land. The goal is the build on the legacy of the past, to help draw the next generation closer to our brethren in Eretz Yisrael, our cherished and sacred homeland. Gifts to the Israel Center Fund support programming that educates about and advocates on behalf of Israel. The Jacob Weisbarth Bereavement Fund helps support families that have experienced a recent passing, or are preparing for a passing of a loved one. Beyond providing financial assistance, Sinai Temple staff and volunteers can also provide emotional support, resources, information, meals, and referrals to licensed hospice care providers and mental health professionals. Please visit the Affiliate Group Memberships page to join the Men's Club, or renew your membership. Sinai Temple’s Men’s Club provides a unique and warm environment in which members meet for programs, while sharing Jewish values, a commitment to Israel and a desire to lead and give back to the Sinai community. Donations to the Men’s Club General Fund support engaging speakers and programming, social and wellness activities and supplement event costs. This fund was created to support the initiative to make Jewish community and synagogue life relevant and accessible to Jewish young professionals across Los Angeles. Donations to the fund support a wide array of Millennial programming and initiatives, through which we intend to ensure a vibrant Jewish future. This Music Fund underwrites musical programming at Sinai Temple, which marks special occasions, Jewish holiday celebrations or concerts featuring musical talent. Donations to this Fund are used at the discretion of Cantor Marcus Feldman. This Music Fund underwrites musical programming at Sinai Temple, which marks special occasions, Jewish holiday celebrations or concerts featuring musical talent. Donations to this Fund are used at the discretion of Organist/Choir Director Aryell Cohen. The Choir Fund supports costs associated with the Sinai Temple Choir, which provides inspirational melodies for our community to enjoy. The ST✡RS (Sinai Temple Religious School) teaches children the skills necessary to enjoy the richness of Jewish life and identity. The curriculum focuses on spiritual, intellectual, emotional and creative development, ensuring a growing love and commitment to Judaism. The Hannah Lippert General Fund, established in memory of long-time Sinai Temple member Hannah Lippert, supports the day-to-day operations of the Religious School, including but not limited to educational materials, special events, teacher support, etc. The ST✡RS (Sinai Temple Religious School) teaches children the skills necessary to enjoy the richness of Jewish life and identity. The curriculum focuses on spiritual, intellectual, emotional and creative development, ensuring a growing love and commitment to Judaism. The Margaretz”l & Jamesz”l Flesh Scholarship Fund, established in memory of long-time Sinai Temple members Margaretz”l & Jamesz”lFlesh, helps to ensure that all children in our community have the opportunity to receive a Jewish education, regardless of financial circumstances. The ST✡RS (Sinai Temple Religious School) teaches children the skills necessary to enjoy the richness of Jewish life and identity. The curriculum focuses on spiritual, intellectual, emotional and creative development, ensuring a growing love and commitment to Judaism. The Ebrahim and Lida Simhaee Scholarship Fund, established in honor of Sinai Temple members Ebrahim and Lida Simhaee, helps to ensure that all children in our community have the opportunity to receive a Jewish education, regardless of financial circumstances. The Ritual Observance Fund is used to purchase ritual objects, such as prayer books (siddurim), the Five Books of Moses (chumashim), prayer shawls (tallitot), and phylacteries (tefillin) for services, festivals and High Holy Days. The fund also provides for the repair and refurbishment of ritual objects as needed. Sinai Temple is dedicated to providing a caring community for its members. Shiva, the seven-day mourning period following the passing of a family member, is an important part of the grieving process. During this time period, friends and family gather together as one. The Shiva Committee plays an important role in this process by providing emotional support to the bereaved, guidance on preparing the home, meal delivery, volunteers to lead services, coordination to ensure a minyan, prayer books and more. Funds donated to the Shiva Committee Fund help provide this critical support and comfort to congregants who have experienced a loss. Please visit the Affiliate Group Memberships page to join the Sisterhood, or renew your membership. Sinai Temple Sisterhood empowers a diverse group of women of varying ages to observe and promote Jewish values and traditions, enjoying warmth and friendship in the process. They support Sinai Temple, Conservative Judaism and the greater community through social action programs and fundraising efforts. Gifts to the General Fund allow Sisterhood to make a greater difference throughout the many communities that the group serves. Each year, Sisterhood provides generous scholarships that enable the children of Sinai Temple members to attend Camp Ramah. Scholarships are available to all campers, including children in the Tikvah program for those with special needs. Extensive research shows that Jewish summer camp plays a crucial role in ensuring a child’s lifelong connection to Judaism. Your contribution allows for the continuation and expansion of these much-needed scholarships. This fund underwrites a significant portion of Sinai Temple Sisterhood’s March of the Living mission for young professionals. It also funds scholarships for the BJE Teen Mission and Holocaust programming for our community. We honor Suzanna Cohen z”l who, as a teen, fled Poland at the beginning of World War II and traveled 6,100 miles to Iran, where she married and raised children. Your support allows our young professionals and teens to embark upon these milestone trips and to pursue projects they find meaningful on their return. Friday Night Live was originally created by Rabbi David Wolpe and Craig Taubman to bring young Jewish adults together to celebrate Shabbat. It has recently been rebranded as “FNL,” featuring the next generation of Sinai clergy – Rabbi Nicole Guzik, Rabbi Erez Sherman, Rabbi Sam Rotenberg, Cantor Marcus Feldman and the FNL Band. Blending traditional prayers with inspiring speakers and joyful music, FNL is the premiere young professionals Shabbat experience in Los Angeles. The Teen Center trains and prepares the Jewish leaders of tomorrow through leadership boards, skill building, advocacy, social action, religious engagement, community building, education, new friendships and more. We instill in our teens a love of synagogue, community and Israel, which provides the foundation for a strong Jewish identity and the skills to lead the next generation. The Teen Center is also an active participant and chapter in the Far West region of United Synagogue Youth. Gifts to the Teen Center Fund support events and programming for our teen participants. Torah in the Round is an engaging family service with an emphasis on sing-along melodies and up-beat tunes. B’nai Mitzvah families and guests are given special honors, including opening of the ark (peticha) and recitation of the Torah blessings (aliyot). Donations to the Torah in the Round Fund support costs associated with Kiddush, services and community programming. Clergy Discretionary Funds are used by clergy members for charitable, educational and professional purposes. Among other things, donations are used to support individuals and Jewish organizations, to purchase books and other materials, to help students pay for religious school, summer camp and/or Israel trips, to offset travel and conference fees as they relate to professional activities and to help families facing financial crises. 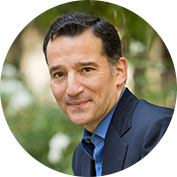 Donations to Rabbi David Wolpe’s Discretionary Fund are used at his discretion for the above stated activities. Clergy Discretionary Funds are used by clergy members for charitable, educational and professional purposes. Among other things, donations are used to support individuals and Jewish organizations, to purchase books and other materials, to help students pay for religious school, summer camp and/or Israel trips, to offset travel and conference fees as they relate to professional activities and to help families facing financial crises. Donations to Rabbi Nicole Guzik’s Discretionary Fund are used at her discretion for the above stated activities. Clergy Discretionary Funds are used by clergy members for charitable, educational and professional purposes. Among other things, donations are used to support individuals and Jewish organizations, to purchase books and other materials, to help students pay for religious school, summer camp and/or Israel trips, to offset travel and conference fees as they relate to professional activities and to help families facing financial crises. Donations to Rabbi Erez Sherman’s Discretionary Fund are used at his discretion for the above stated activities. Clergy Discretionary Funds are used by clergy members for charitable, educational and professional purposes. Among other things, donations are used to support individuals and Jewish organizations, to purchase books and other materials, to help students pay for religious school, summer camp and/or Israel trips, to offset travel and conference fees as they relate to professional activities and to help families facing financial crises. Donations to Rabbi Sam Rotenberg's Discretionary Fund are used at his discretion for the above stated activities. Clergy Discretionary Funds are used by clergy members for charitable, educational and professional purposes. Among other things, donations are used to support individuals and Jewish organizations, to purchase books and other materials, to help students pay for religious school, summer camp and/or Israel trips, to offset travel and conference fees as they relate to professional activities and to help families facing financial crises. Donations to Rabbi Zvi Dershowitz’s Discretionary Fund are used at his discretion for the above stated activities. Clergy Discretionary Funds are used by clergy members for charitable, educational and professional purposes. The funds are used to support individuals and Jewish organizations, to buy books and other materials for study and teaching, to help students pay for school, summer camp or Israel trips, to offset travel and conference fees as they relate to clergy’s professional activities, to help families facing financial crises, or to help with medical bills and other similar needs. Donations to Cantor Marcus Feldman’s Discretionary Fund are used at his discretion for the above stated activities. Clergy Discretionary Funds are used by clergy members for charitable, educational and professional purposes. Among other things, donations are used to support individuals and Jewish organizations, to purchase books and other materials, to help students pay for religious school, summer camp and/or Israel trips, to offset travel and conference fees as they relate to professional activities and to help families facing financial crises. Donations to Ritual Director Discretionary Fund are used at his discretion for the above stated activities. Sinai Akiba Academy’s School Rabbi Discretionary Fund is under the direction of Rabbi Andy Feig for charitable, educational and professional purposes as it relates to the day-to-day operations of Sinai Akiba Academy. Donations to Sinai Akiba Academy’s Tuition Assistance Fund help offset tuition costs, ensuring that all children in our community have the ability to receive a Jewish education through Sinai Akiba Academy, regardless of financial circumstances. The Douglas Family Early Childhood Center of Sinai Akiba Academy is committed to the cognitive, emotional, physical, social and spiritual development of children ages 2 – 5. The Center utilizes a unique approach to early education – helping children learn how to learn. The Center’s goal is to provide an opportunity for children to develop self-esteem, self-discipline, compassion for others and an overall love of knowledge and the learning process. Funds go to support the day-to-day operations of the Center. The Elaine & Gerald Wolpe Parenting Center of Sinai Akiba Academy provides a nurturing, inclusive environment for parents and their children, ages birth-24 months. Classes include PlayCreations, Rabbi & Me, prenatal offerings, musical engagement, Grandparents & Me and more. Donations to the fund help support and develop this programming, and respond to the needs and desires of our community.